As presenter of the World Tonight on BBC Radio 4, Ritula Shah today finds herself with a front-row seat for the world’s most important stories – the latest chapter in a journalistic career, which has seen her reporting from everywhere, whether it be from building sites in Tehran to under tables in Moscow. 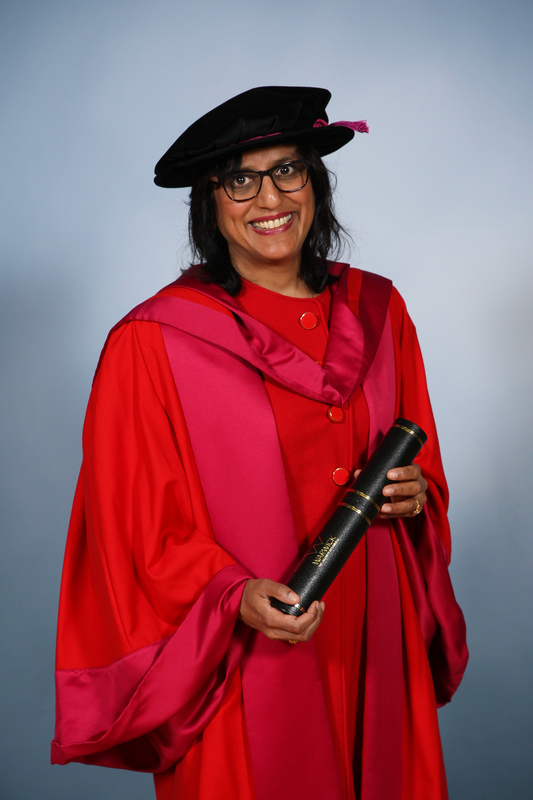 Her visit to the University of Warwick to be awarded an Honorary Doctorate is though not her first visit to the campus, as it was here as a History student that Ritula’s life in media and journalism began when she became involved with the student radio station. 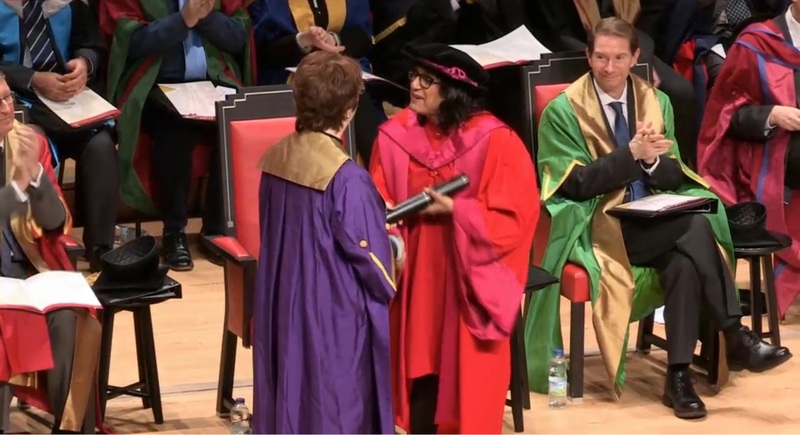 Speaking before the ceremony Ritula reflected on her career, modern journalism, the role the University of Warwick has played in her life and passed her advice to those new graduates now setting out in her footsteps. What does it mean to be a University of Warwick graduate? In regard to her perusing a career in journalism, did Ritula think she would find herself in the position she is today? “I definitely knew it was something I understood I cared about and I was very much part of the media scene. I didn’t think I thought I could have a ringside seat [in journalism] and I think that’s what’s changed in a very positive way in the last 30 years. I didn’t believe a small, brown woman from the kind of background I come from could have been given a place at that table. And how did studying at the University of Warwick help in getting Ritula to her career? “I do think that my experiences here; the very positive educational experience I had, the friends I made, the opportunities I had – they are what enabled me to think I could ever try. “News is everywhere. You get headlines of your phone as soon as they happen, but how do you get that sense of perspective? It’s hard, it’s a challenge every day. “We used to have cycles of news, ending at six or nine but that’s no longer true. I think you have to choose and end point and stand back. Even in that hour things will have happened.